Mr. Md. 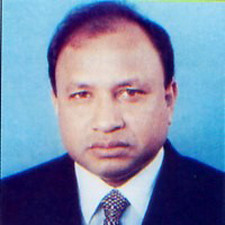 Tajul Islam is an active member of the Parliament of Bangladesh. Mr. Islam is currently also the Chairman of the Parliamentary Standing Committee on Ministry of Power, Energy and Mineral Resources. As the Chairperson, he has taken many progressive decisions and ensured quick implementation of many power projects. He often stresses on the importance of finding alternative sources to natural gas and proactively motivates companies to come forward and implement renewable energy projects. Empowered by the growing demand for garment accessories in Bangladesh, in 1989 Mr. Islam founded the Fabian Group, a garments accessories factory based in Chittagong. In addition, he is involved the pharmaceutical sector. Mr. Islam is also an avid supporter of clean energy activities in Bangladesh. Mr. Islam completed his Masters degree in Marketing.